“Corporate Governance” represents a broad category of issues that typically indicate some form of mismanagement at a company. 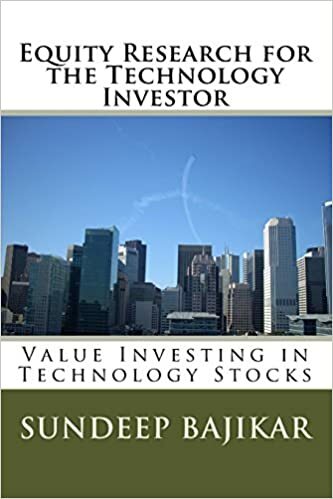 Investors become concerned when they do not fully understand a company’s reported financial data or do not understand or agree with the company’s (un)stated plans for use of cash. Such concerns commonly translate into a severe valuation discount that can’t be easily explained by other factors. One example of such a corporate governance discount I think can be found in stock prices of Samsung Electronics and SK hynix, among other companies. Whereas concerns related to Alibaba’s business structure and financial reporting have been raised a few times since its IPO, the charts below do not indicate evidence of an associated corporate governance discount in BABA stock. 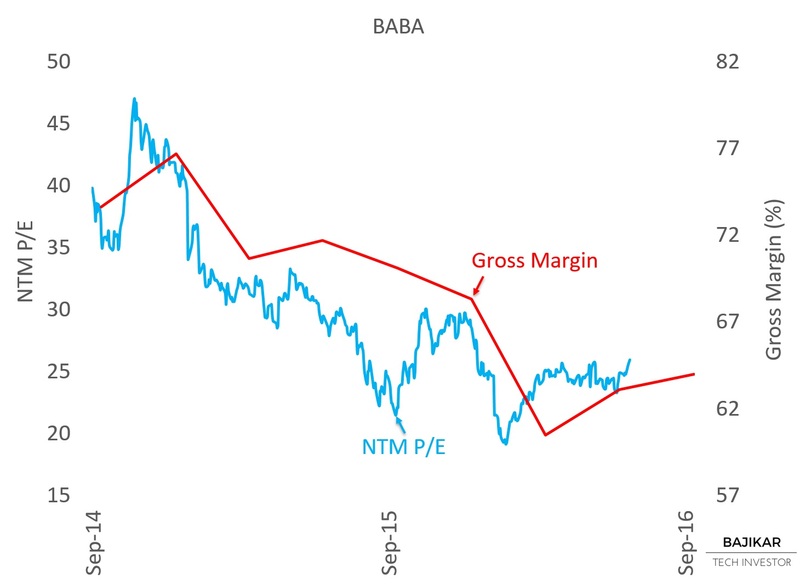 The first chart suggests BABA stock is tracking below NTM EPS expectations. 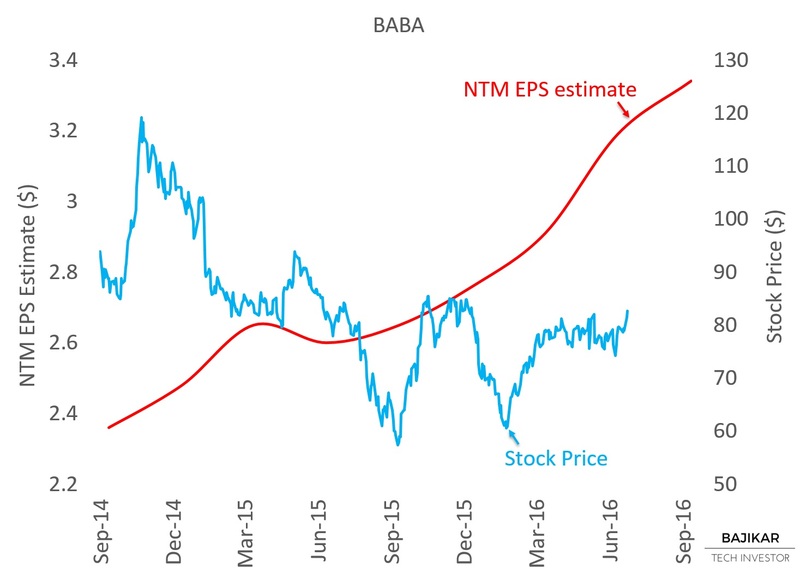 The next chart suggests the disconnect between BABA’s stock price and its NTM EPS estimates is driven by NTM P/E compression following revenue deceleration. As Alibaba’s YoY revenue growth decreased from ~50% near IPO to ~25% recently, its P/E multiple compressed from ~40x to ~30x. 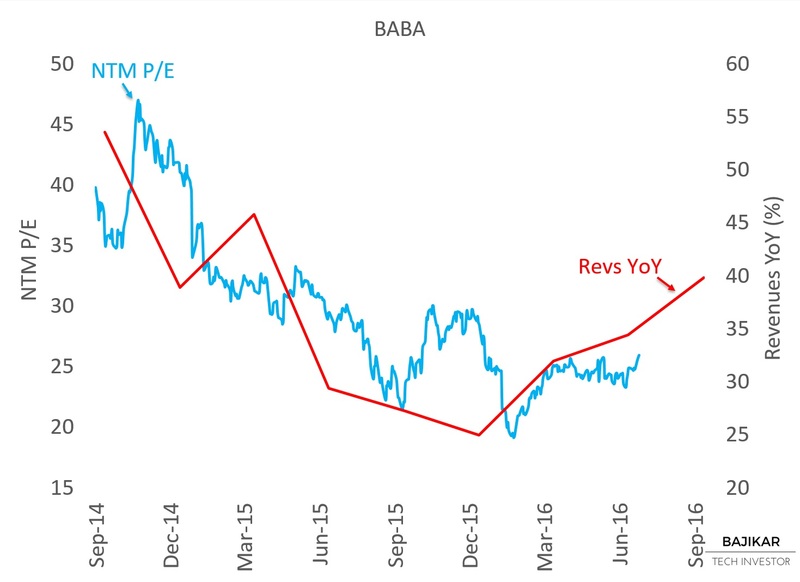 As the next chart suggests, BABA’s gross margins declined since IPO and could also help explain some of the P/E compression. Anticipation of a potential Chinese IPO of ANT Financial (primarily Alibaba’s Alipay business), combined with general macro volatility around China’s GDP growth together seem to also have contributed some volatility in BABA stock, while fanning concerns about corporate governance around the potential benefit that might accrue to BABA stock due to ANT’s IPO. Alibaba’s vision to empower the masses with domestic and cross-border eCommerce seems potent enough to keep investors captivated for a while. All the corporate governance media talk aside, at current levels the stock does not appear to be baking in such concerns. So one risk is that someone (SEC?) finds hard evidence of financial mismanagement at the company, and that such findings suddenly reset the valuation lower. Disclosure: As of this writing the acteve Model Portfolio did not hold any positions in BABA, BIDU or EBAY. Stock market data provided by Sentieo.